Adobe Photoshop Elements 2019 software combines power and simplicity so you can make your photos look their best, share them in imaginative ways, and easily find and view all your photos and video clips. Instantly fix flaws or adjust color and lighting with new advanced controls. Adobe Photoshop Elements 2019 allows you to quickly drop your photos into customizable layouts and show off your creativity with dynamic web photo galleries created using Flash technology. And view all your photos and video clips in one convenient place. Adobe Photoshop Elements 2019 lets you empower your creative vision with photo editing options for every user level, and turn ordinary snapshots into something spectacular. Smartphone selfies. Tablet landscapes. Posed portraits and quick candids. You take more photos than ever before. 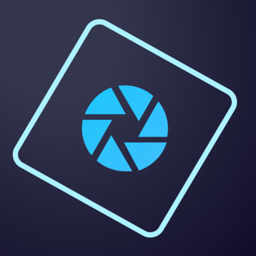 Keep focusing on the memories – Adobe Photoshop Elements 2019 will make them look great. Go from so-so snapshot to forever-favorite photo. Make quick edits, add artistic touches like a pro or transform your photos to wow friends and family. Adobe Photoshop Elements 2019 allows you to make scrapbook pages, cards and calendars to share lasting memories. It will help you to order, label, find and view your photos your way. With Adobe Photoshop Elements 2019 you will able to share memories with the people who matter most the way that works for you – Facebook, YouTube, Vimeo, Twitter and more. Bye-bye, camera shake. Your selfies’ best friend! Just click to remove the camera shake that comes from unsteady hands. Never a hazy day. Easily remove haze to make the background as crisp as what’s up front. Great for landscape shots. Guidance at every step. Get the looks you’re after with Guided Edits. New options let you easily add a sense of motion to your photos and resize a photo to fit a certain frame. Selecting hair is a snap. Selecting hair, pet fur and other fine details used to be a chore. No more! Just paint loosely over the area and Elements does the rest. Find by people. Photoshop Elements recognizes the faces in your photos and stacks them by person during import, so it’s easy to find photos of specific people later. Find by places. Relive your journeys – view photos and videos on a map based on where they were taken. Find by events. Find, view and organize photos and videos based on the events they capture – birthday parties, vacations, weddings, first days of school and more. Custom looks for any photo. Elements analyzes the subject, color and lighting and gives you five effects that fit perfectly. Quick edits made easier. Rotate and make quick fixes even faster in a friendlier and easier-to-use Quick Edit mode. 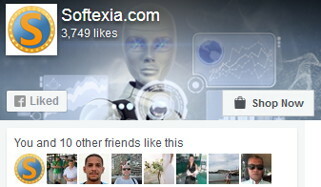 Stand out from the crowd on Facebook. Put a cool twist on your Facebook page by blending your profile and cover photos in ways your friends won’t just Like, they’ll love. Not your standard slideshows. Don’t just create a slideshow – tell your story from every angle with multiple photos on each slide. Showcase your photos in printed keepsakes. Make memories last by sharing photos in beautiful greeting cards, calendars, collages and more. Package your discs in style. Use photos, text and themed graphics to create great-looking customized jackets and labels for your CDs and DVDs. See your photos in all their glory. Support for High DPI on Windows and Retina Display on Mac means you always see your photos full res – no compromises. Get inspired with Elements Live. Find great creative ideas, tips, tricks, and help right at your fingertips, right inside Elements. Supported OS: Windows 7, 8, 8.1, 10 (64-bit) and macOS v10.12 through v10.14.